I've taken the directions for this shirt directly from The workwoman's guide: containing instructions to the inexperienced in cutting out and completing those articles of wearing apparel, &c. which are ususally made at home : also, explanations on upholstery, straw-platting, bonnet-making, knitting, &c. That's quite a mouthful for a title! I'll just call it The Workwoman's Guide from now on. This book was published in London in 1838. One thing to mention given that it's an English book: the terms "muslin" and "calico". These terms are exactly the opposite of what they are in American English, for some reason. In the U.S. muslin is a coarser, cheap fabric, and calico is a tightly-woven cotton, often with a small repeating print. 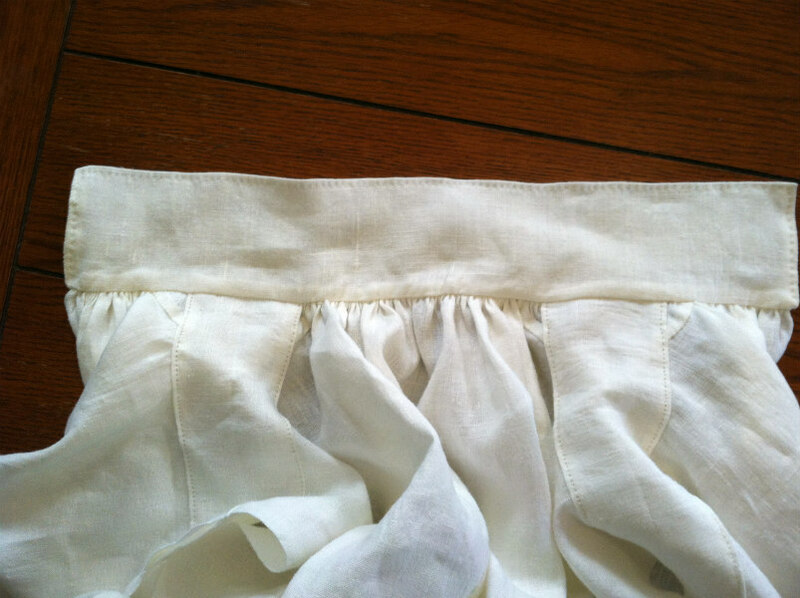 In England, calico is the coarser, cheap fabric, and muslin is a tightly-woven cotton, often with a small repeating print. 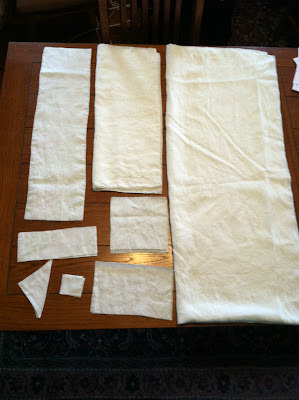 Just something to keep in mind, because The Workwoman's Guide refers to these fabrics. The directions for shirts begin on page 138, <linked here>. I've used the measurements for the "man's larger size" on page 139. If you look at the measurements you'll see Yds. and nls. Nls? Yes, there's a new unit of measurement here: nails. 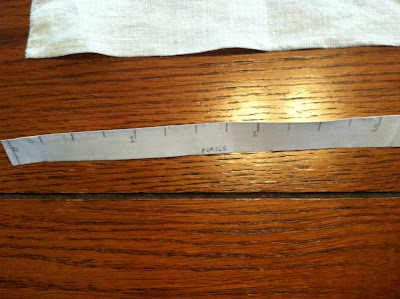 Apparently this was a unit of measurement for fabric, and it goes as follows: 4 nails = 1 quarter. 4 quarters = 1 yard. 5 quarters = 1 English ell, and 6 quarters = 1 French ell. Of course the French have to be different. 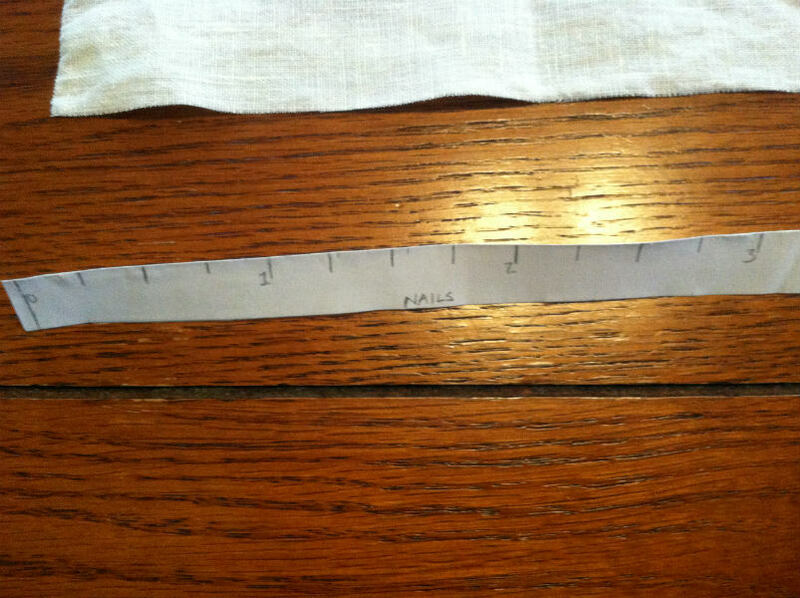 :) That means that 1 nail = 2.25 inches. Simple, right? Well, since all of the measurements from The Workwoman's Guide are given in nails, I figured that instead of converting all the time I would just make a tape measure in nails. My tape is one ell (English) long. Okay, back to the shirt. 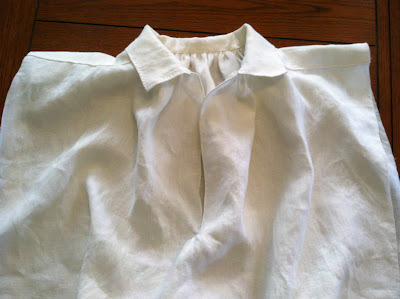 This pattern is very similar to the Kannik's Korner 1790-1830 shirt that I made before, but I wanted to make one according to the directions in The Workwoman's Guide this time. Some of the measurements are very similar, and some are a bit different, and I'll make a comparison when I've finished this shirt. According to The Workwoman's Guide "Shirts for labouring men are generally made of the stout linen called shirting-linen." 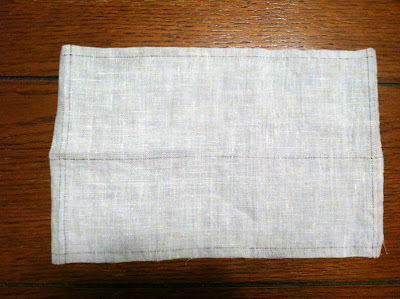 I chose a 5.3 oz linen from Fabrics-store.com. Since all the pieces are rectangles or squares, I drew threads to make sure I cut in straight lines. 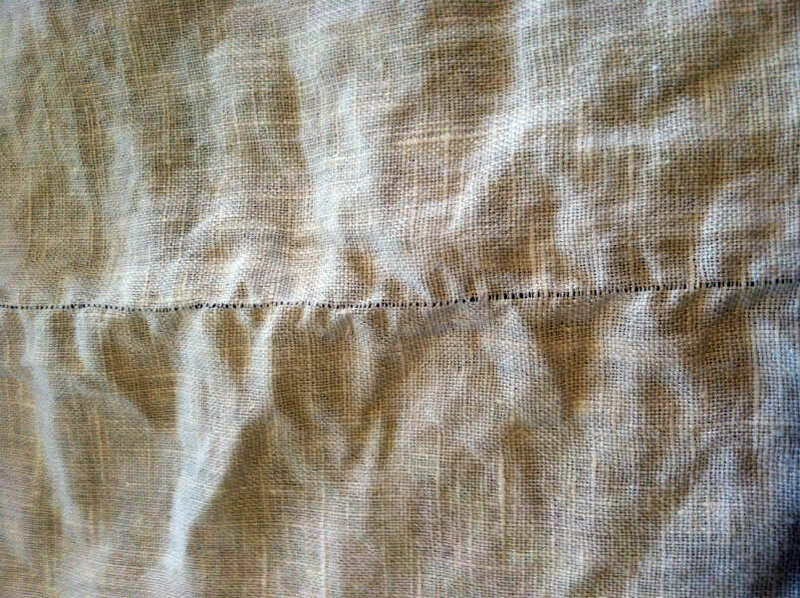 Modern fabric comes in widths much larger than period fabric, so even though the directions called for using fabric exactly 14 nails wide, I had to cut mine to size. However, given the width of the fabric I was able to get all of my pieces cut from exactly 2 yds, 2 nls of length. One thing I couldn't find in the pattern list was wrist gussets, which are mentioned in the directions for making up the shirts. Since I think wrist gussets would probably just get in the way anyway, I didn't worry about them. Here I've gathered the very wide shirt body (18 nails, plus about 1 nail added with the neck gussets) into the collar (8 nails). With the collar folded down this is starting to look like a shirt! I've begun to prepare the cuffs for sewing. In order to stitch in a straight line I've drawn threads as guides. 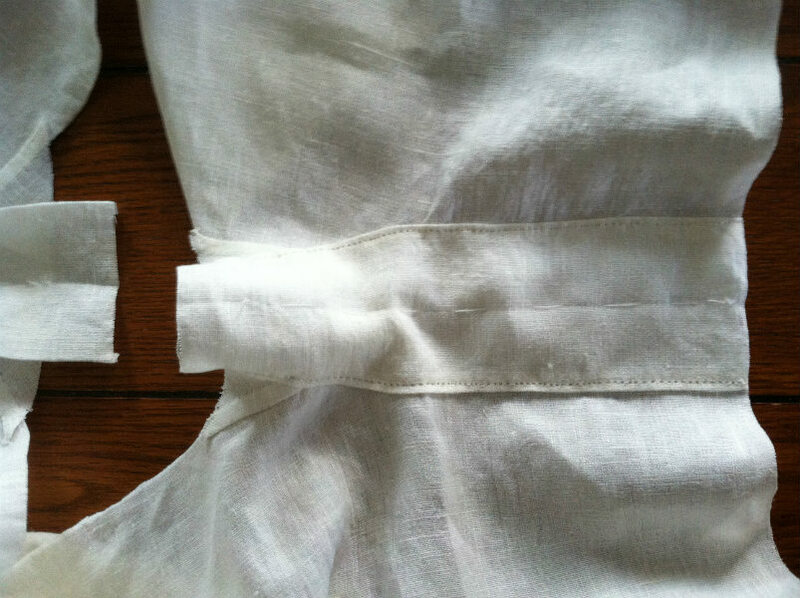 You can see the border threads for seams, as well as guides for topstitching. That's all I've got so far. Stay tuned for more! I'm using the Kanik's Korner pattern now, and I'm interested in seeing how this differs. I've got more shirts to make in the future, so maybe I'll tackle it too! Oh thank you!!!! I've done quite a bit from the wwg and am now trying this one. It helps a lot!